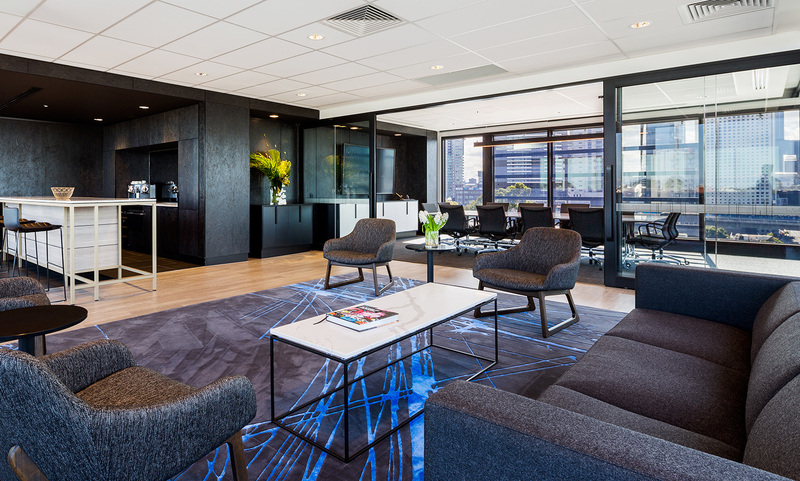 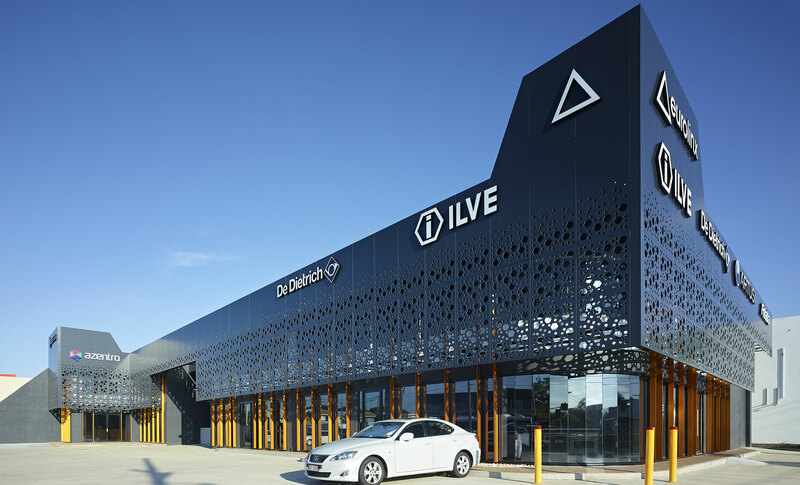 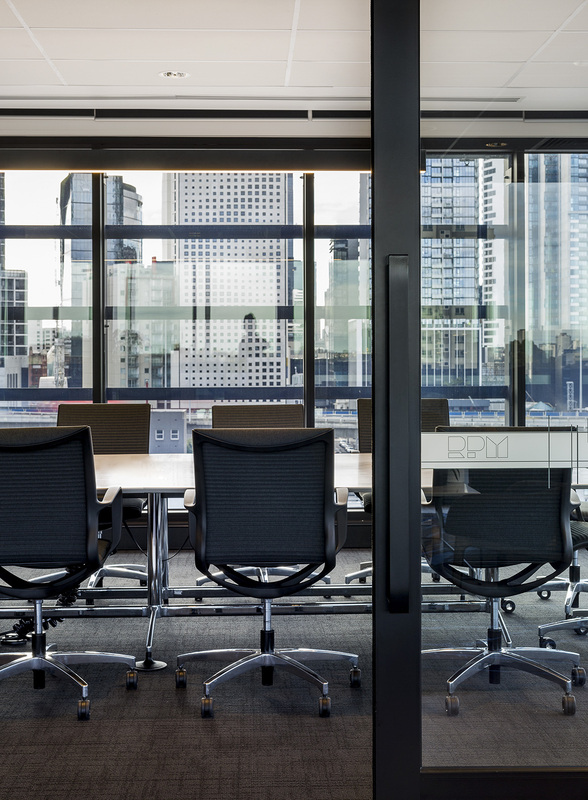 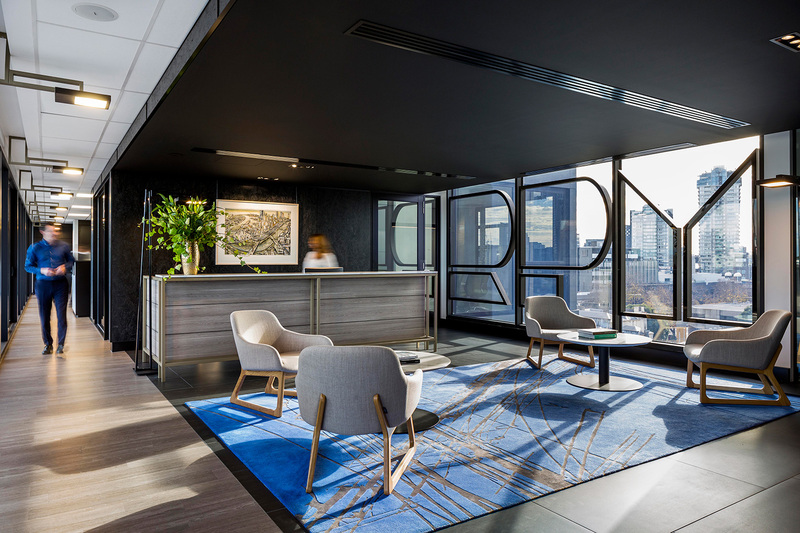 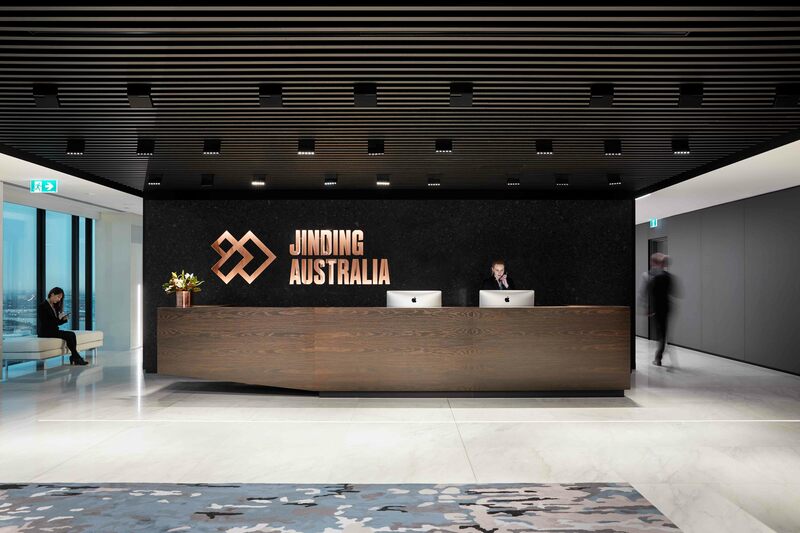 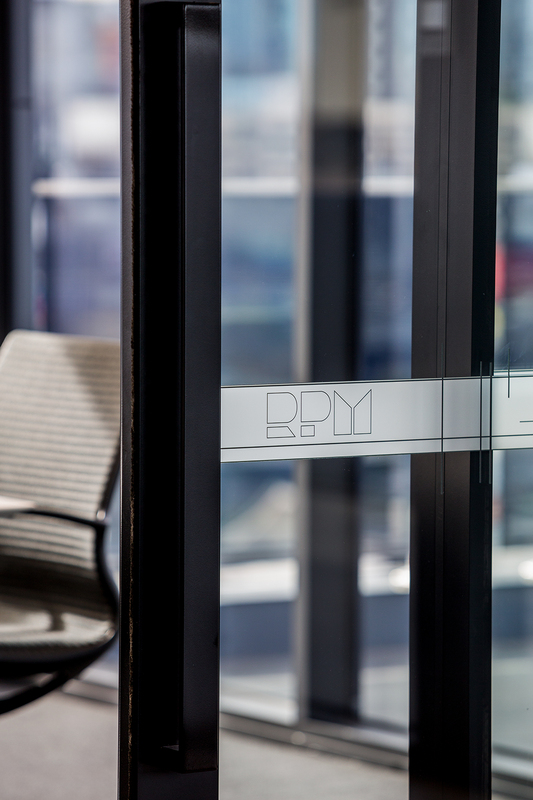 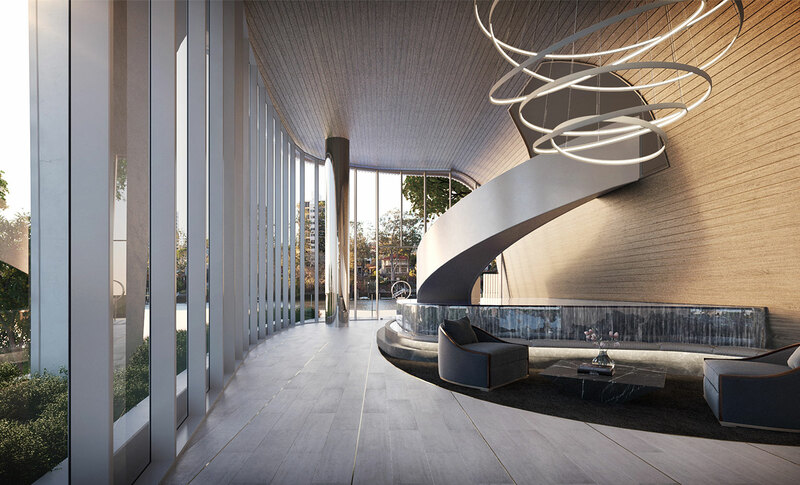 RPM’s new South Melbourne headquarters has been designed to support the company’s growing mobile workforce, while reflecting the people-oriented, sophisticated and approachable nature of the business. 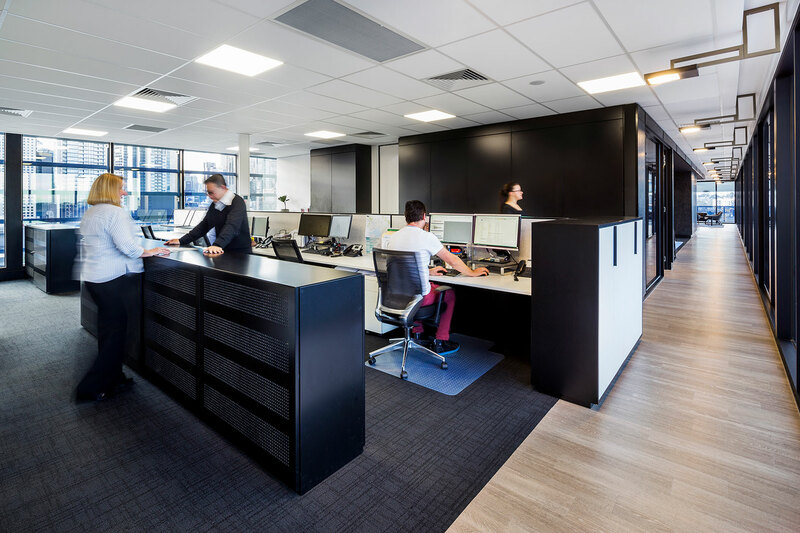 Our interiors team has created a series of highly adaptable and cleverly integrated breakout workspaces and a layout which replaces the traditional four-wall office model with a series of workstations to encourage increased collaboration. 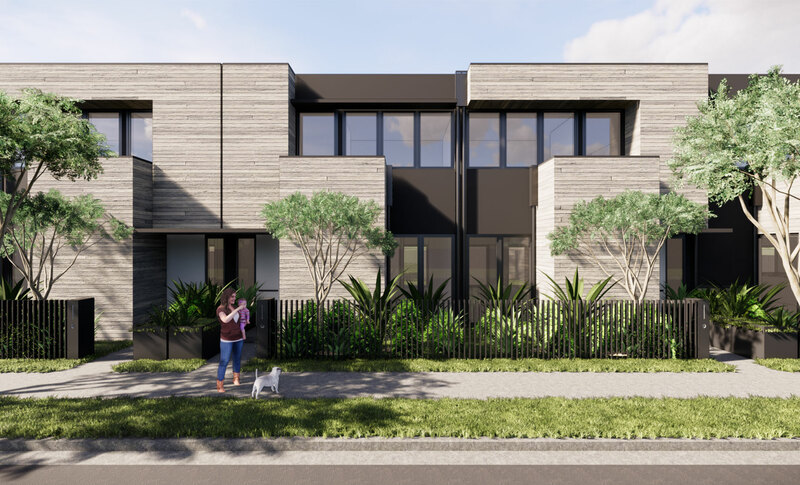 Inspired by RPM’s real estate function, the design concept has been informed by suburban vernacular. 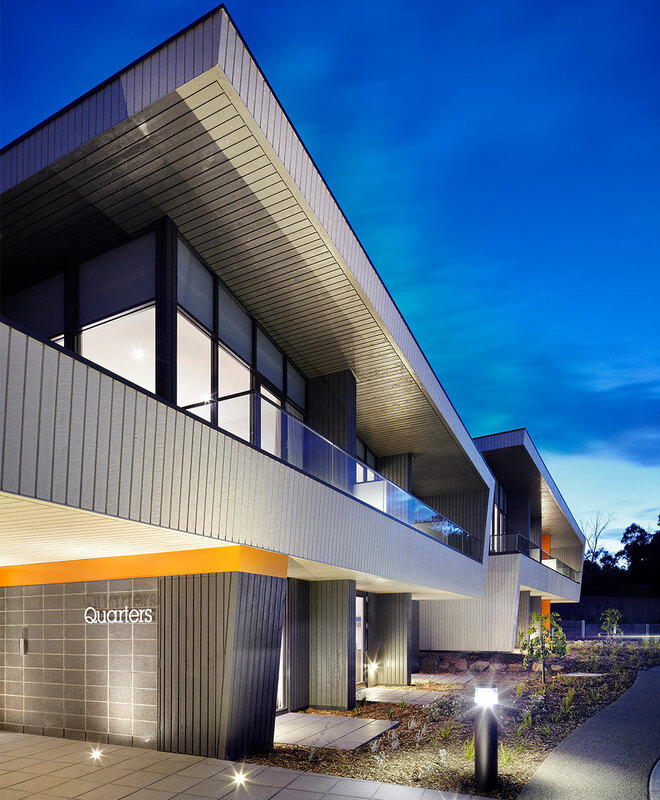 Across both levels, the main thoroughfare flows along a street-like corridor paralleled with ‘street lights’ above. 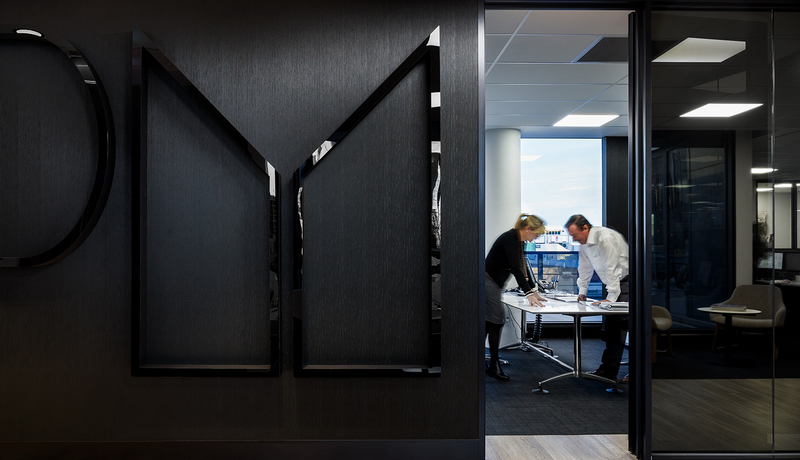 Raised planters set a rhythm of ‘front yards’ behind which private work areas are screened. 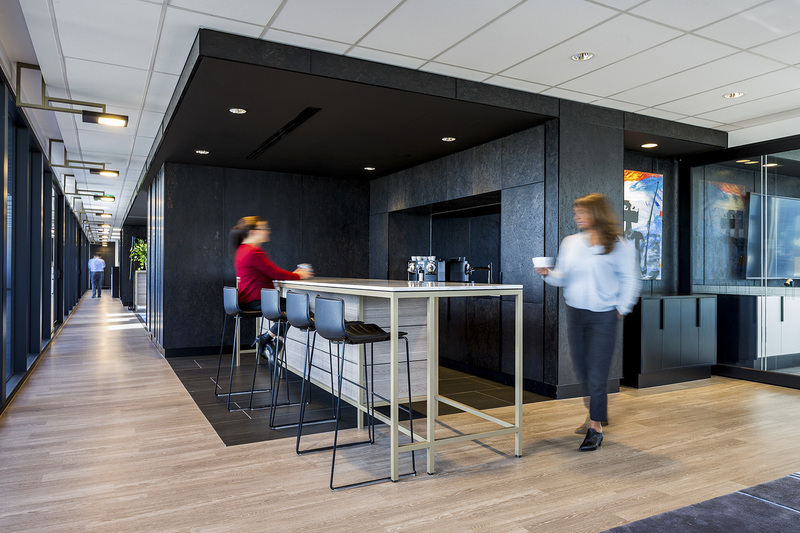 User experiences are enhanced through the use of confident dark tones mixed with bright colour, bespoke lighting and a selection of materials including OSB board, stone and metal finish, with several customised designer furniture pieces curated within the office’s shared spaces. 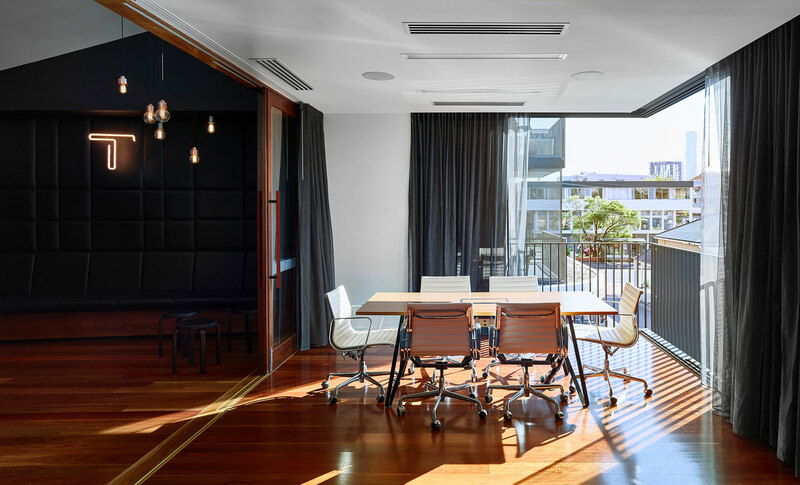 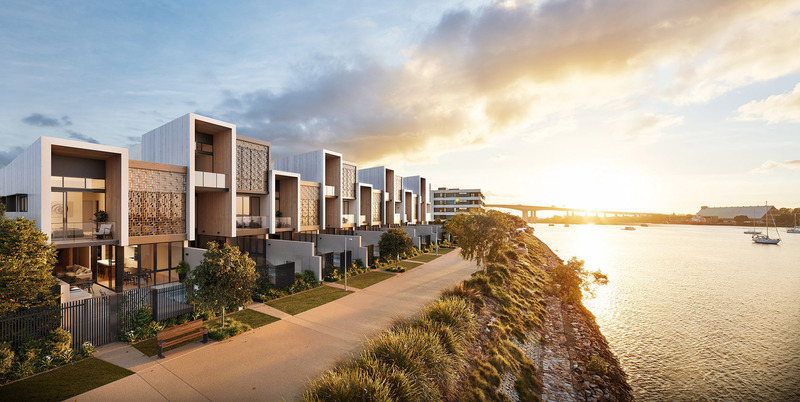 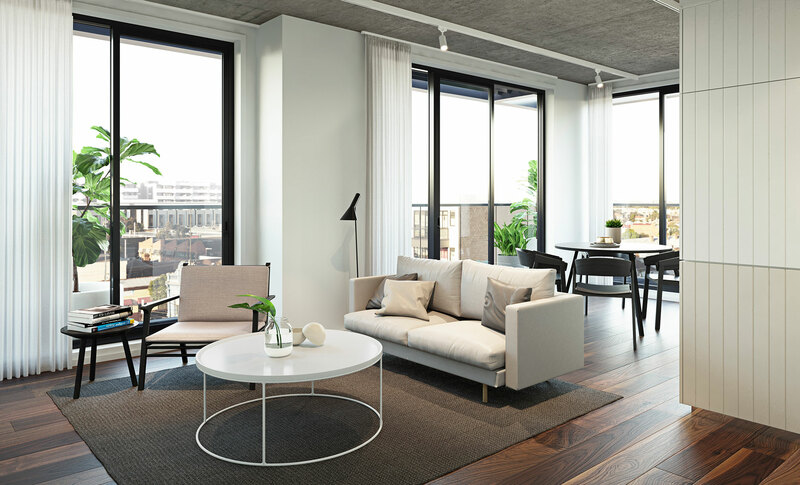 The concept of a neighbourhood is a consistent motif in the design, with visual references to streets and houses throughout the office.